View of Taal Lake from Barangay Nangkaan in Mataasnakahoy. Image source: Google Earth Street View. Beginning with this article, Batangas History serializes the history of the small town of Mataasnakahoy based on a narrative written by one Ceferino Capuchino in 19981. The narrative, Capuchino himself wrote in the foreword, was compiled from stories of the elderly heard in the barbershop of his late father and from clan gatherings. Because the narrative is essentially folkloric in nature – i.e. handed down the generations by word of mouth – there are obviously limitations in the provisions of dates when the events narrated occurred; and probably some lapses in accuracy as well. Still, when one considers that much of the earliest histories of mankind were actually transcribed from folklore, one cannot discount that Capuchino’s work is a great and rich source of information about Mataasnakahoy’s past. Capuchino began his story with Taal Lake, which he described as heard from the elderly as having started as “isang ‘di gaanong kalakihang tubog2” (a small pool of water). Lipa was then but a small village in what is now Lumang Lipa in Mataasnakahoy. The claim of Taal Lake having begun life as a small pool is typical of folkloric stories and is more symbolic than factual. The lake used to be a channel connected to Balayan Bay that was closed off after the 1754 eruption of Taal Volcano. That Lipa was a village in what is now Lumang Lipa in Mataasnakahoy is accurate enough. However, the original pueblo or Christian community from which Lipa would arise was built in 1605 by Augustinian friars in what is now the village of Tagbakin in Lipa City. Before the arrival of the Spanish conquistadores, Capuchino went on, the land which is presently Mataasnakahoy was owned by the datu (a tribal chief3) and did not even have a name. It was only called such because of a landmark tree that could be seen from a distance. The tree was about a hundred meters tall and according to elders would be felled by a powerful typhoon. At the time, Mataasnakahoy was still a “pulong4 gubat” (an isolated forest), dark and unlit except for the tiny sheen of fireflies. The lushness was, although unstated by Capuchino, because of the area’s proximity to Taal Volcano. Thus, its soil was rich with volcanic minerals. Understandably because his narrative was based on the stories of the elderly, Capuchino leaped from the pre-Hispanic era to when the Spanish Queen Regent Maria Cristina bestowed upon Lipa, to which the land known as Mataasnakahoy still belonged, the title of “villa5.” This was in the latter half of the 19th century. By this time, the formerly humble village of Lipa had grown into one of the wealthiest towns in the entire Philippines, its economic growth spurred by the vast swathes of land in the town planted to coffee. Among these swathes of land was Mataasnakahoy, owned by the wealthy Silva and Templo families of Lipa, who it goes without saying would benefit from the coffee industry which, at one point, would make the Philippines the 4th largest producer in the world6. Word began to spread to other towns about the richness of the soil of Mataasnakahoy, so that immigrants started arriving from the towns of San Jose, Cuenca, Bauan and Taal. The reader will please note that the towns from which the immigrants came, with the exception of San Jose, had access to Taal Lake, which brings us to conjecture that the migration must also have been through the lake itself. 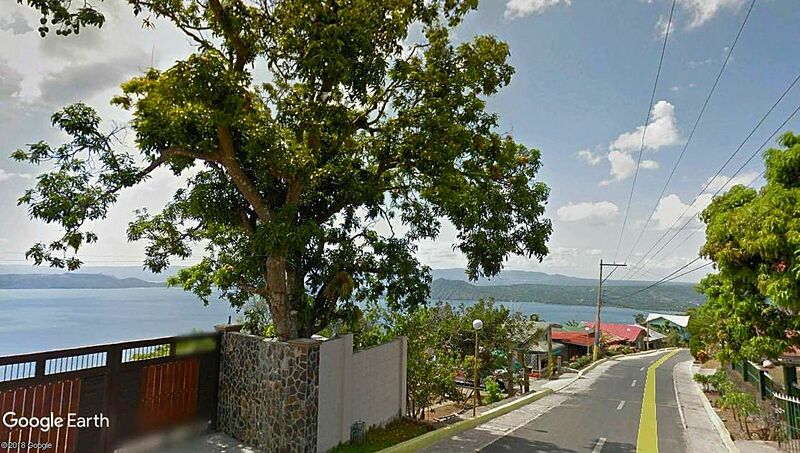 Although Bauan in the present day has no access to the lake, in the 19th century Alitagtag, which is lakeside, was still part of it. These immigrants bore these family names: Abu, Acar, Aguila, Amazona, Amores, Aranda, Ariola, Atienza, Babadilla, Bathan, Bautista, Benamer, Benedicto, Biscocho, Binay, Caguicla, Calingasan, Cantos, Capuno, Caraan, Carable, Carandang, Caringal, Castillo, Ceruelas, de Roxas, Dimaano, Dimaculangan, Dimayuga, Dita, Garcia, Gonzales, Hernandez, Inciong, Japlos, Kalalo, Katimbang, Laqui, Lalamunan, Landicho, Lescano, Lina, Lobrin, Lojo, Lubis, Magpantay, Malabag, Malaluan, Malibiran, Mandigma, Mangubat, Manigbas, Maralit, Maravilla, Matanguihan, Matibag, Medina, Mendoza, Metrillo, Obtial, Ocampo, Orense, Orozco, Oseña, Paran, Perez, Pesigan, Recinto, Recio, Reyes, Robles, Rodelas, Salazar, Sarmiento, Subol, Tibayan, Tiquis, Tisbe, Umali, Velasquez and Vergara. ↓ Scroll down to the bottom of this page to leave a comment. 1 “Sa Langit-langitan ng Bayan Ko,” written by Ceferino Capuchino in 1998. A copy of the narrative was obtained by Batangas History through the kindness of Renz Marion Katigbak. 2 “Tubog” in this context being Tagalog for a “pool of water.” TagalogTranslate.com. 4 Although the more contemporarily understood meaning of the Tagalog word “pulo” is “island,” the word in fact has an alternative meaning which is “isolated.” TagalogTranslate.com. 5 “Demythologizing the History of Coffee in Lipa, Batangas in the XIX Century,” a dissertation written by Maria Rita Isabel Santos Castro, 2003.